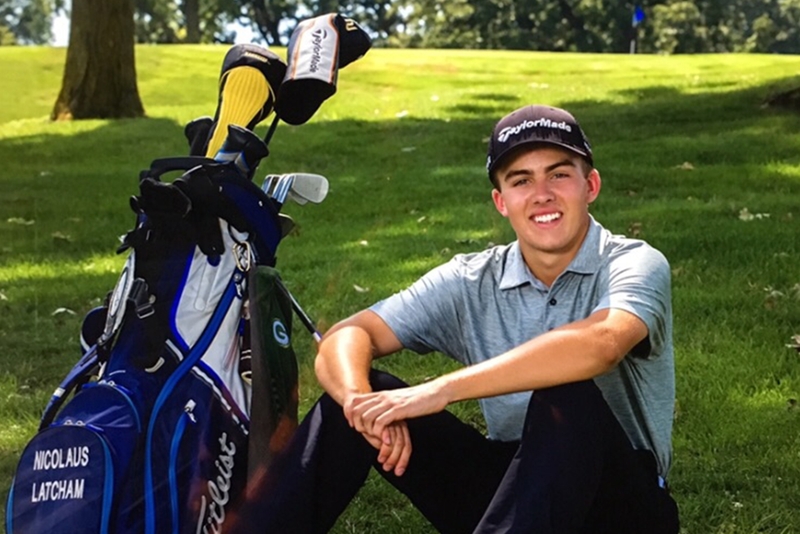 Congratulations to Waukee, Iowa native, Nicolaus Latcham on being selected as the 2018 Charlie Burkart Scholarship honoree by the Iowa PGA Foundation Charlie Burkart Scholarship committee. Click here to read to more. The Iowa PGA Foundation annually awards a college scholarship in memory of Charlie Burkart, PGA member for 49 years and Head PGA Professional at the Elmcrest Country Club in Cedar Rapids for 42 years. The purpose of the scholarship is to assist students in furthering their education. At least one high school graduate will be the 2019 Scholarship recipient in the amount of $1,500 per year for four years. Other previously graduated applicants will be reviewed with additional scholarships awarded when possible. Any graduating high school senior or previous graduate residing within the boundaries of the Iowa PGA Section and the State of Iowa is eligible to apply. The Iowa PGA Section is bounded on the west by U.S. Highway 71 and includes an area of Western Illinois from a point north of Quincy, east to near Springfield and directly north. It includes the major cities of Monmouth, Macomb, Galesburg, Moline, Rock Island, Kewanee and Galena. It does not include the cities of Freeport, Springfield or Quincy. Scholarship winners are selected on the basis of their interest and activity in golf, the potential for future contributions to the game, leadership skills/community involvement, then on their academic/professional ability and financial need. The Iowa PGA Foundation is now accepting applications for the 2019 Charlie Burkart Scholarship. Applicants must complete the application and mail to the scholarship committee prior to June 14, 2019. Applications can be mailed to Iowa PGA Section, 3184 Highway 22, Riverside, IA 52327. Call 319-648-0026 with any questions. 1. High school transcript of work completed and description of any post-secondary academic achievement. 2. Two recommendations – may be from a high school administrator or teacher, a PGA professional or other non-family connections. 3. Applicant must include a self-statement concerning his/her interest in golf, other activities and awards, his/her educational and vocational plans/career goals and financial need. 4. Applicant is requested to send a list of other scholarship they have applied for and those that they have received.